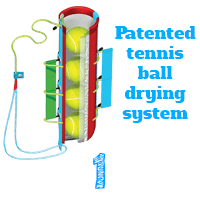 Patent protected 3 layer drying system that removes moisture from the tennis ball fibres to increase tennis ball life. 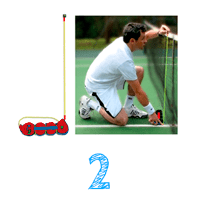 Net Measure integrated into the shoulder strap to check the tennis net height is correct during matches. 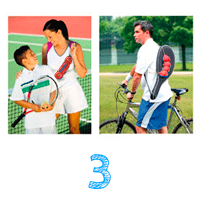 Carry 4 tennis balls easily over your shoulder or in hand. No more sharp, awkward tennis ball tins to worry about. Keep your drink bottle cool while you play your match and stay refreshed. Tennis Ball Dryer is a 4 in 1 tennis gadget that has been developed and brought to market to help tennis players around the world. When people play tennis outside, they often have to play on courts that are still damp or wet from recent rainfall or dew. During play, tennis balls always absorb any surface water into the ball fibres. This makes them wet and heavy and accelerates ball pressure release. Players will then normally place their wet balls back in their cans after a match and forget about them. However when players next return to play, the tennis balls have remained wet in the cans and the tennis ball pressure has been released, making them unusable and so are thrown away. Now with a Tennis Ball Dryer and its clever patent protected drying system, you can solve this waste and inconvenience. Instead of placing your wet tennis balls in their tin after your match, simply place up to 4 wet balls in a Tennis Ball Dryer and they will be dry again in just a few hours ready for your next game. This will save you having to buy news balls every time they get wet. Clever huh! Most club and recreation players will use one set of tennis balls between 3 to 8 times depending on their skill level, so it makes sense to use a Tennis Ball Dryer to help maintain your tennis balls longevity instead of throwing them away as soon as they get wet. Tennis Ball Dryer does not just dry your wet balls and save you money though. It also has a net measure to check the tennis net height is correct, has an easy carry sling bag with shoulder strap for convenient storage and transportation. You can throw away that sharp nasty tennis ball can. 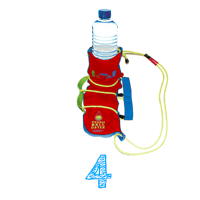 And because of its fabric cooling properties, it will also keep your drink bottle cool while you play. Tennis Ball Dryer is the ideal tennis accessory and make perfect tennis gifts for tennis players around the world. If you would like to buy a Tennis Ball Dryer, then please click here. If you would like to know more about Tennis Ball Dryer and the inventors story, visit this link for further information, ‘Inventors Story’. There is also information about the ‘History of Tennis’ which can be found here.